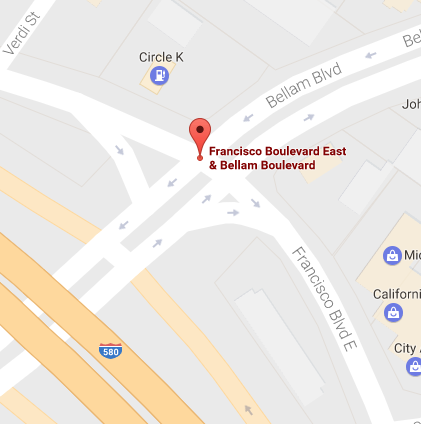 Please expect some delays as the traffic signal light at Bellam Boulevard and Francisco Boulevard East is currently undergoing repairs and maintenance. The signal is owned and operated by Caltrans and they have been notified by the City that the signal is not functioning properly. For any additional information regarding this intersection, please contact Caltrans by phone at 415-330-6500 or by completing a Maintenance Service Request Form. We appreciate your patience while this matter is being resolved. completing a Maintenance Service Request Form (http://www.dot.ca.gov/hq/maint/msrsubmit…). We appreciate your patience while this matter is being resolved.